Nothing so personifies travel to Brazil as the beaches in and around Rio de Janeiro, the stuff of legends and films. Though it was once the beaches of Guanabara Bay that attracted the in-crowd, since the early 1920s, sun-worshippers by day and revelers by night have sought out the westerly beaches along Avenida Atlantica and Avenida Vieira Souto to enjoy life. 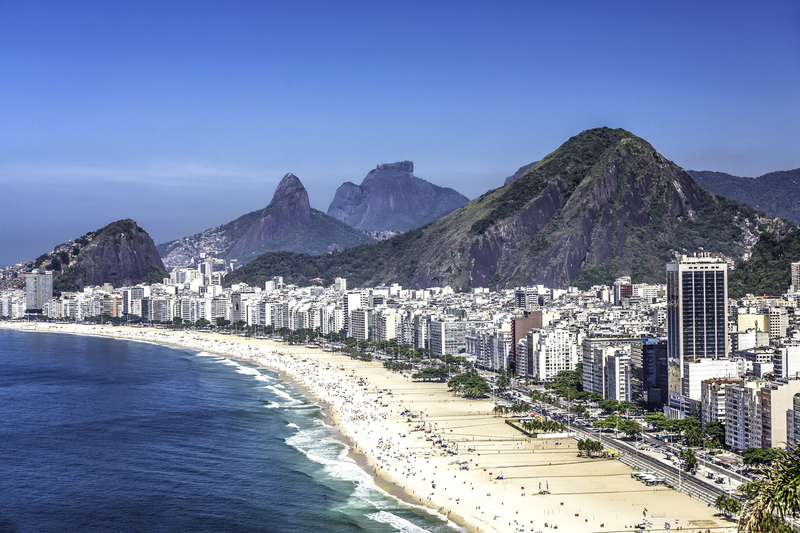 One’s Rio de Janeiro tours aren’t complete without stopping at Copacabana, the city’s most famous beach. 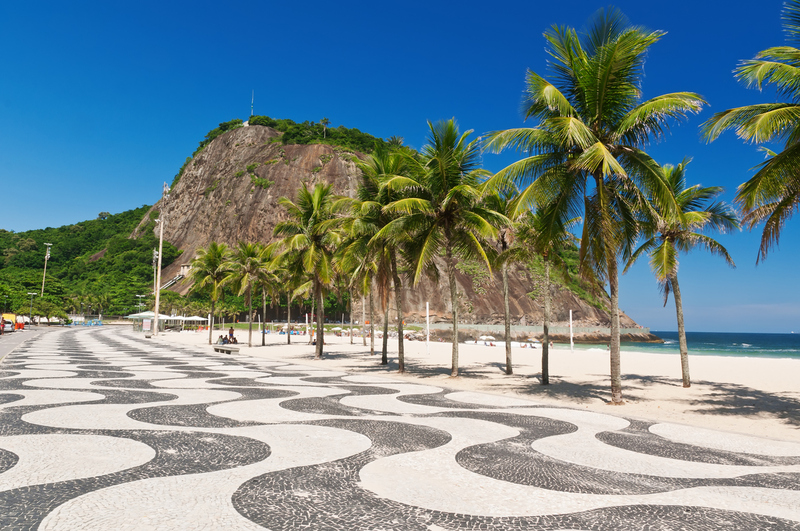 It is set off by a striking stone mosaic border of undulating black and white patterns designed by famed tropical landscape architect (Roberto) Burle Marx. Another of its much photographed landmarks is the elegant Copacabana Palace Hotel. Opened in 1923, it was a magnet for the glamour set right away, starting with European dignitaries and then the famous film stars of the day, among them, Marlene Dietrich, Douglas Fairbanks, Jr., Errol Flynn and Ava Gardner. The lavish hotel added to its cache when the 1933 Hollywood musical, “Flying Down to Rio,” was filmed there, featuring Ginger Rogers and Fred Astaire in small roles. Copacabana is the site of a wildly popular New Year’s Eve bash, Reveillon, drawing millions attired in white garb for an evening of music and dance shows, culminating in a dramatic midnight fireworks display. The occasion is made all the more memorable by the celebration of Lemanja, an Afro-Brazilian tradition in which homage is paid to the sea goddess by setting flowers, candles and other small offerings afloat. Needless to say, visitors wishing their Brazil tours to include these spectacular events, should book early. Calmer waters lie to the west of Copacabana where Rio’s other legendary beach, Ipanema, is located, and beyond it, Leblon. Both are bordered by ritzy commercial districts, offering a welcome, albeit expensive respite from the sun. Who sunbathes where is an exploration in itself along Rio’s beaches whether one is seeking out people with whom they share age, sexual orientation or an interest in such beach hobbies as bodybuilding, surfing or volleyball. All of the beaches are well-equipped for endless eating, imbibing and people-watching during Rio de Janeiro tours. Those looking for the fancy resort version of the beach experience will find it on a peninsula 105 miles north of Rio on Brazil tours to Armacao dos Buzios. Buzios, as the hamlet is commonly called, was made famous by one French tourist, Bridgette Bardot. Between marriages, she came here with her Brazilian musician boyfriend in 1964 and was able to ditch the paparazzi long enough to enjoy the simple tropical pleasures of what was then a tiny fishing village. Today it is anything but, having transformed into a gathering place for the rich and famous. 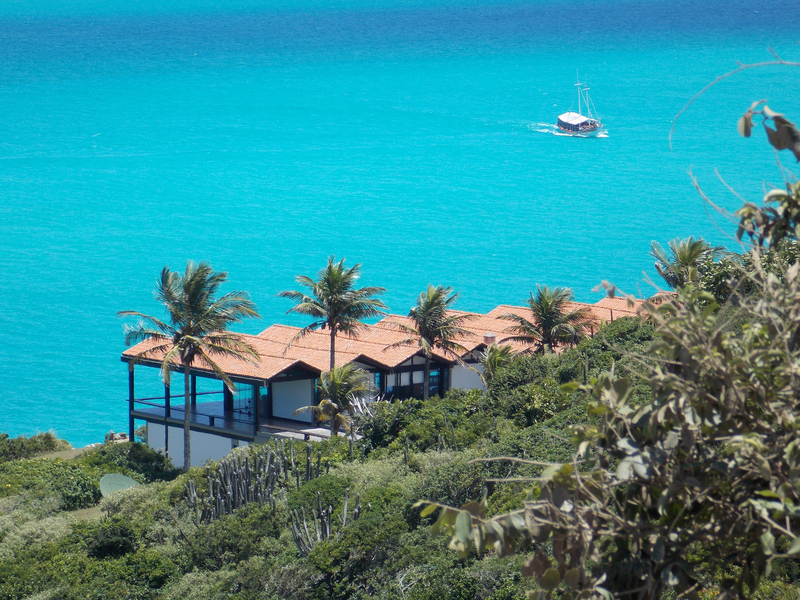 Although we can't call Buzios isolated or off the beaten path, not all of its two dozen beaches are crowded. All of Southern Explorations’ Brazil travel arrangements include a few days on Rio de Janeiro tours in the environs of the city’s famous beaches.